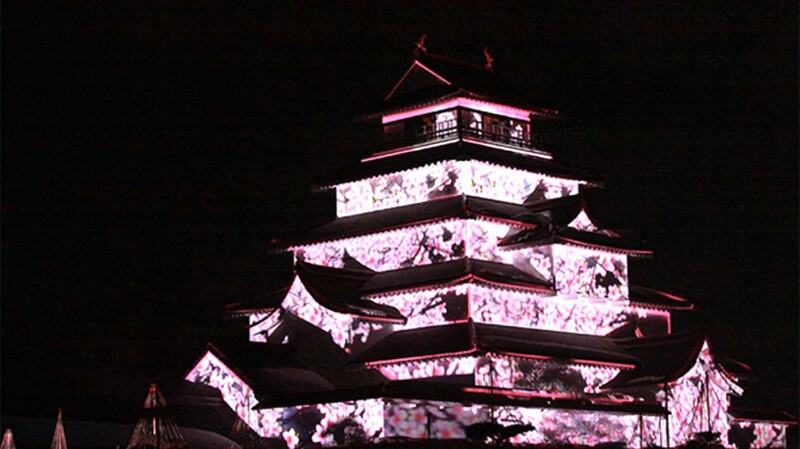 This was the first projection mapping in the Tohoku area held at Tsurugajo, a Japanese castle in Fukushima with over 700 years of history. 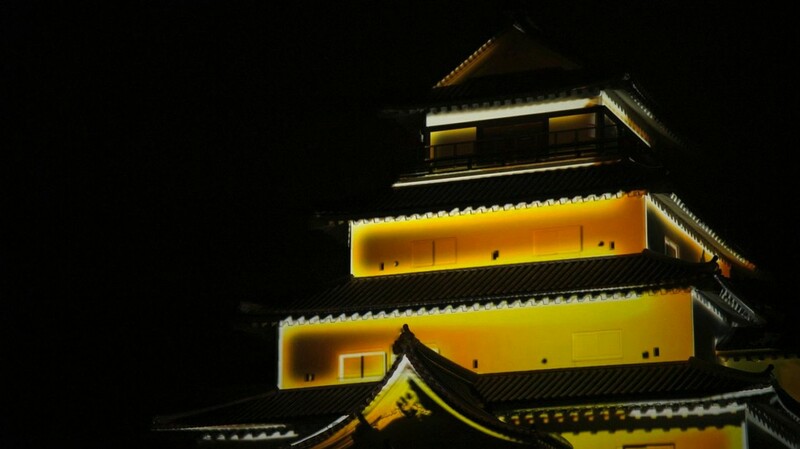 It was produced by NHK Enterprise and Aizu city to encourage reconstruction after the 3.11 earthquake. 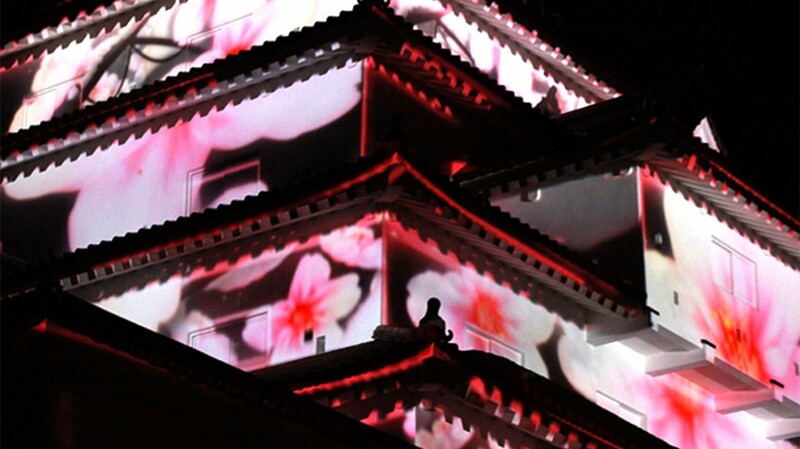 Set to a beautiful music piece composed by Ryuichi Sakamoto, JKD produced a 5 minute video with the theme of seasonal changes and cherry blossoms which was projected onto the castle walls using 16 projectors. 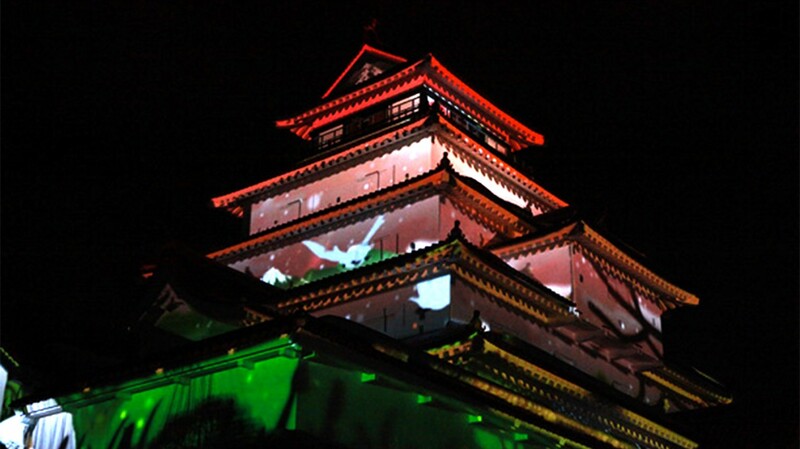 The team, involving more than 10 creators centered on JKD artists Genki Ito and Gino Woo, went through an intense production but achieved great success, moving the hearts of the local people. On 3/8 a sneak preview was held for the press, garnering a response far exceeding our expectations. 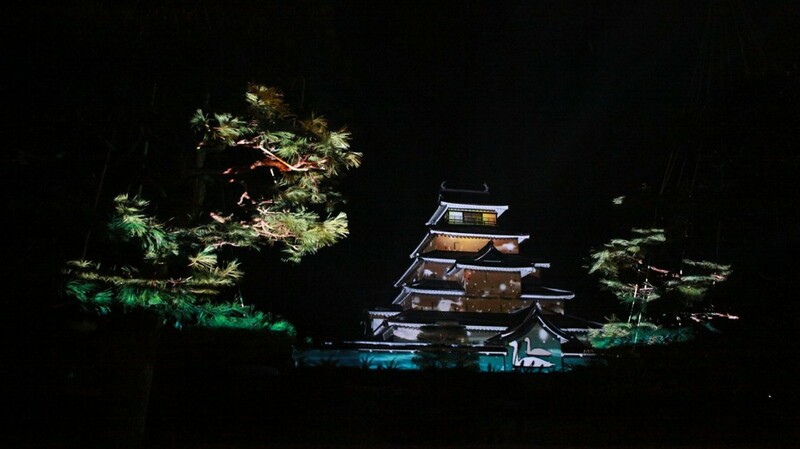 The performance was picked up as a top news item by NHK at 9pm that day, leading to many visitors for the next 2 days. We received great responses from the local people saying it was very touching. It was a moving and meaningful experience to have the opportunity to be involved in this project. A longer version of the official video is available as a DVD for sale on Amazon. Production Companies：NHK Enterprise, JKD Collective, P.I.C.S.